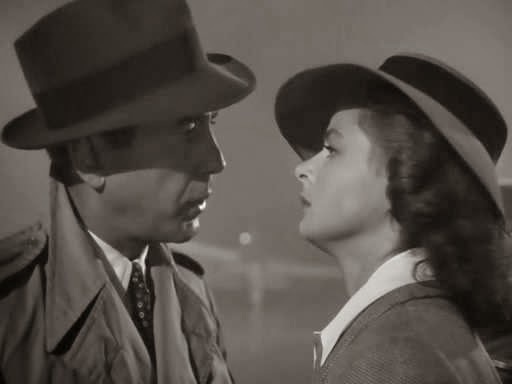 Because Casablanca is a flick I really need to get around to watching again. And because sisters are doin' it for themselves. And because what is regret, anyway? This one originally appeared on The Disappearing. to strangers, who say I love you, it's untrue. There'll be no ovation. There's hardly a road. covered in lichen's dull brocade. No-one's looking at me, kid. on a related note, do you remember that day in philadelphia, the taxi pulling away...? "this kind of thing never happens to humphrey bogart." If I did, it was apropos because it is very true.